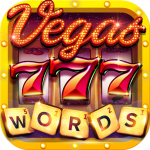 Collect Vegas Words Downtown Slots free coins! Slot freebie coins available mobile for Android and iOS. Play on Facebook!